Contemporary…Sleek…Quality! 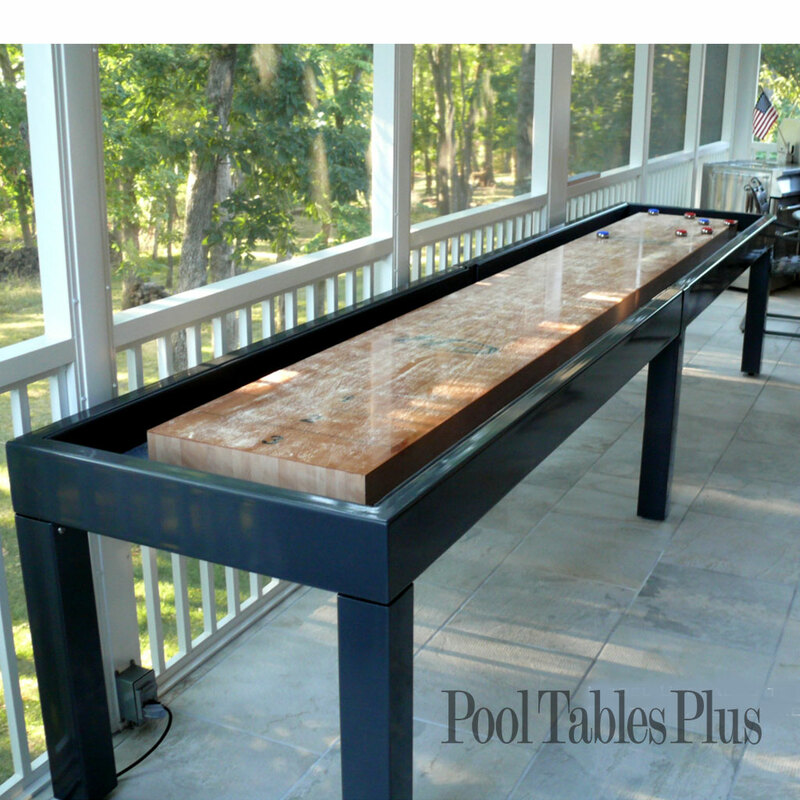 The Urban Outdoor Shuffleboard is a sleek and contemporary design that brings shuffleboard into the new era. 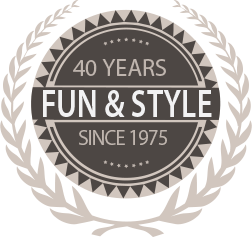 Made to order and constructed of powder-coated steel with clear UV protection. The cradle can be finished in any number of standard color choices. To add a clean touch, the inside walls of the cradle are lined with a vinyl wrapped cushion. Select a vinyl to match the powder coat color. 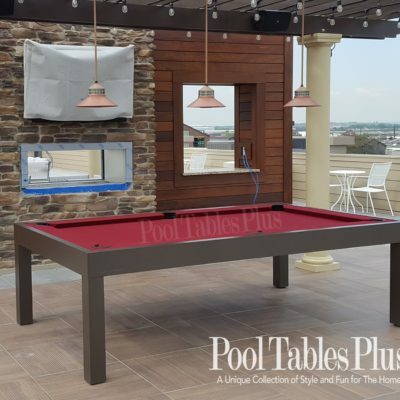 The play surface is made from Kiln-Dried Hard Rock maple with a polymer finish and the entire board is wrapped in fiberglass for outdoor protection. An outdoor cover made from sunbrella fabric is a required addition to protect the table when not in use. Priced in 9′ length ($200 per additional foot). 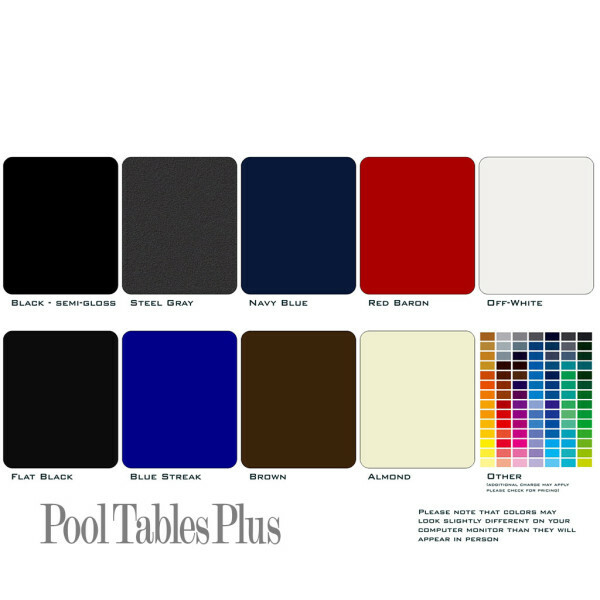 Available sizes are 9, 12′, 14′, 16′, 18′, 20′, or 22′ (tournament size). Also requires an outdoor cover for $500.